Navigating the world with a spinal cord injury or severe paralysis can feel like a solitary journey. Thankfully there are passionate advocates on this topic who have made it a mission to open up their blogs — and their hearts — and enlighten those experiencing the same hurdles. Who Are These Inspiring Hero Bloggers? They are moms, therapists, disabled veterans, writers, educators, caretakers — you name it. Their lessons are inspiring. Their words are hopeful. Their teachings are insightful. And (because of the way the universe works) these good people have committed to educating the masses about those living — and thriving — within the paralyzed community. First, let’s start with Priscilla Hartman Hedlin, better known as: The Wheelchair Mommy. Priscilla was paralyzed in a car accident in 1999. She is a wife and mother to three children. Her blogs are entertaining, heartwarming, and candid. She talks about everything from ‘inappropriate questions people ask her about paralysis’ to her experience during pregnancy with a spinal cord injury. Priscilla’s positive energy is also apparent when she travels to speak to audiences around the country. Her speech is titled, “Changed, but Still the Same: Happiness Spoke’N from the Heart.” The message she delivers centers around her life and happiness after paralysis. You can also find her blogs on Bloglovin.com. Next are two dynamos, Mike Berkson and Tim Wambach, who created a successful organization that helps those living with severe physical disabilities. Since 2010, Mike (a quadriplegic with cerebral palsy) and Tim have been traveling the country as a two-man stage show called ‘Handicap This!’ Their message is of tolerance and inclusion. Tim first met Mike when he became his aide over 14 years ago. For a brief introduction to these superheroes and what this company is all about, check out their YouTube video. How do they do all of this? Blogs, podcasts, speaking engagements, WebTV, networking, and work diligently to create alliances with businesses and organizations. This dynamic duo are blazing trails and taking names! Their show is just one part of a larger partnership they have together. They’ve also established the ‘Keep on Keeping on Foundation (KOKO). Founded in 2007, this grassroots organization has worked to lessen the enormous monetary costs of those living with a severe physical disability and to educate and empower others to make a difference. Thanks to Mike and Tim, our world is brighter because of their work and passion in teaching others the power and benefit of community service and how to appreciate each other’s differences. Registered users can access a free user-generated ‘how-to’ video mentor network and community helping those affected by a spinal cord injury. Users must register first in order to access the website. The website also highlights a spinal cord injury ‘superstar’ in a blog each month on its site. These life stories are riveting, inspiring, and reveal each individual’s personal triumph. 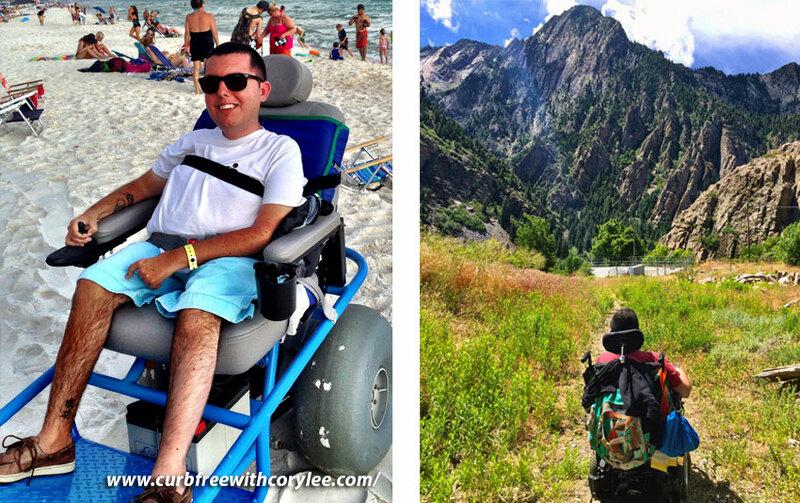 Cory Lee is a prime example of a wheelchair user who is adding value and hope to the wheelchair community by blogging, publishing eBooks, and putting himself on a platform for those looking to travel without the hassle. If you have any questions, he’s extremely responsive, friendly, and eager to help. Just make sure you get back to him as soon as possible — before he leaves for his next trip… to Finland! And then there’s Magdalena. This fashion maven, graphic designer, and lifestyle blogger started Prettycripple.com. She is fun, vivacious, and a true expert at overcoming obstacles. Her talents in graphic design and having an eye for flair, culture, and all things eclectic are magnified by the fact that she does everything with a seemingly effortless style. Nothing, not even Magdalena’s paralysis, gets in her way of enjoying the art scene, music, artisanal food, great fashion, global politics, and a love for animals. She is a force to be reckoned with. Her readers see her messages and are inspired. Here is just one of her many poetic and insightful blogs. This particular one is about David Bowie: WE CAN BE HEROES — David Bowie Says So | Art and Music. So, for information on wheelchairs and assistive devices to get around town or across the world, or for good recommendations from experts with the same needs, these bloggers deliver incredible words of wisdom — along with a kick of positivity and a punch of authenticity. They are the heroes that make this world go ‘round.